In Brazil the majority of companies are incorporated either as a limited liability company (limitada) or as a joint-stock corporation (SA). The limitada is a simpler form, involving lower costs and fewer formalities and government requirements for incorporation and operation. The form of an SA requires more formalities, such as the publication of reports of its general meetings and financial statements, which can substantially increase smaller companies’ operational costs. On the other hand, the SA form provides higher levels of corporate governance and because of its various types of shares attracts investment more easily without diluting equity participation. Both limitada and SA must have at least two shareholders or quotaholders. Recently, Normative Instruction issued by the Department of Business Registration and Integration (DREI) No. 38 of 2 March 2017 reviewed the individual limited liability company (EIRELI) registration manual, allowing the formation of a sole-partner company by a legal entity based in Brazil or abroad. Franchisors use both the limitada and the SA form, depending on their size and governance needs. We expect an increase in the use of the EIRELI, in view of the sole partnership formed by a legal entity. Franchisees usually organise their activities as a limitada. The regulations for the limitada and for the EIRELI are set forth in the Brazilian Civil Code (Federal Law No. 10,406 of 10 January 2002), while regulations for the SA are contained in the Brazilian Corporations Law (Federal Law No. 6,404 of 15 December 1976) - the Corporations Law also governs the limitada form in specific aspects that are not covered by the Civil Code. In addition, ordinances, normative instructions published by DREI and operational ruling set forth by the commercial registries of each Brazilian state provide ancillary rulings for the formation of limitada companies. The most usual procedure for a foreign investor to do business in Brazil is by organising a subsidiary. Regardless of whether the entity is a limitada or an SA, the subsidiary must have at least two shareholders, whether individuals or legal entities. An EIRELI can be formed by a sole partner. These shareholders do not necessarily need to be domiciled in Brazil. If the shareholder is domiciled abroad, there must be an attorney-in-fact domiciled in Brazil with powers to represent the shareholders as attorney-in-fact at all times. In order to comply with international regulations and to combat corruption, the Brazilian Federal Revenue recently passed Normative Instruction issued by the Brazilian Federal Revenue Services No. 1,634 of 6 May 2016, which requires companies with foreign shareholders or quotaholders to identify their beneficial owners and also grant powers to its attorney-in-fact specifically to manage assets and goods in Brazil. Foreign legal entities are required to register with the Federal Taxpayers’ Registry of Legal Entities (CNPJ) in order to hold equity interest in Brazilian legal entities or other goods and rights in Brazil, including real property, investments, ships and aircraft, among others. Currently, a CNPJ registration can be assigned to a foreign investor upon registration of its investment with the Central Bank. For individuals domiciled abroad who wish to own stocks or quotas of Brazilian legal entities or other goods and rights in Brazil, the Brazilian regulation requires that they register with the Federal Taxpayers’ Registry of Individuals (CPF). This registration may be requested by an attorney-in-fact or by the individual in person at the nearest Brazilian embassy or consulate. The subsidiary must have a permanent address in Brazil and its corporate purposes clearly described in its articles of incorporation or by-laws. There are no minimum capital stock requirements and stock may be distributed among the shareholders as they consider fit. An individual resident in Brazil must be appointed as the subsidiary’s officer. If that individual is a foreigner, he or she must hold a permanent Brazilian visa to be appointed. One of the requirements for a foreigner to obtain a permanent visa as an officer of a Brazilian company is proof of direct foreign investment, by either of the shareholders, of 500,000 reais into the company, in addition to a three-year business plan to create new jobs. If the foreign investment is made on a company on the innovation, scientific/technology research market, the minimum direct foreign investment is diminished to 150,000 reais. Foreign investors may not participate in nuclear energy, post and tele-communications services, health-care services, press organisations and radio and TV broadcasting networks. Foreign investment of up to 49 per cent of the voting capital is permitted in the cable TV, coastal navigation, mining and hydropower sectors, provided that management is under a Brazilian-born individual or one who has been naturalised for more than 10 years. Minor participation of up to 20 per cent of the voting capital is permitted in the airline cargo and passenger transport sectors, provided the entity is managed by a Brazilian-domiciled individual. Change to the foreign investment in airlines up to 49 per cent of the voting capital is expected. presumed profits basis: this is permitted for companies whose annual gross revenue is up to 78 million reais. This tax regime presumes that the taxable profits correspond to a percentage of the company’s annual gross revenue (from 1.6 per cent for fuel and gas resale, 8 per cent for industrial activities, 16 per cent for general services, to 32 per cent for professional services), regardless of the company’s losses, and does not allow the company to deduct expenses. municipal service taxes of between zero and 5 per cent (specific taxes are payable in this regard for operators of inter-state tele-communications and transport services). tax on financial transactions, payable on some transactions, such as loans agreed by Brazilian companies and foreign exchange transactions (generally at 0.38 per cent). Payments for royalties should not be subject to federal taxes on gross turnover and imports of goods and services or to municipal service taxes, provided that the franchise agreement specifies the amounts payable to a franchisor for royalties and services. A decision from the Supreme Court is still pending on whether these taxes should be levied on payments for a general franchise agreement. In the meantime, the tax authorities will levy such taxes unless the franchise agreement is sufficiently clear. Franchising contracts in Brazil are regulated by the Brazilian Franchise Law (Federal Law No. 8,955 of 15 December 1994), which defines a franchising contract as a non-labour-bonding contract. There is no specific regulation related to employees of a franchisee and, as a consequence, regular Brazilian labour laws are applicable to the employment contracts of a franchisee’s employees. The franchisee, as employer, is directly responsible for its employees. Brazilian labour law provides that a franchisor has subsidiary responsibility over its franchisee’s employment contracts and employees if the franchisor gives instructions to franchisee as to the operation of his or her business; and imposes controls, including on the number of employees and how they should develop activities and profit or contribution margins. Thus, the franchisor may be held liable as employer. The evaluation of risk would depend on the facts of each individual case. Although it is not possible to prevent employees of a franchisee from including the franchisor in labour claims, the obligation on a franchisee to indemnify the franchisor against any costs and to exclude the franchisor from the claim or to assume the defence on its behalf is valid. Consequently, the franchisor may claim damages from or have a right to recourse against the franchisee. The Industrial Property Law (Federal Law No. 9,279 of 14 May 1996) regulates the granting of trademarks, as well as patents, utility models, industrial designs, besides prohibition against false geographical indications and unfair competition. Know-how is protected under technology-transfer agreements, which can set confidentiality obligations. The technology transfer agreement can be included in the general franchise agreement. In Brazil, the real estate market is regulated by the Civil Code and the Urban Lease Law (Federal Law No. 8,245 of 18 October 1991). Regarding title to a property, the proof depends on a proper filing of the public deed of purchase and sale with the Real Estate Registry Office. Lease agreements are freely executed between parties. It is important to note that a lessee is entitled to renew the lease under the same conditions, provided that it was ruled by a written agreement with a minimum term of five years and that the lessee has performed the same activity in the property since the start of the lease for at least three years. Recent changes to the Urban Lease Law included provisions for design-build developments, stipulating that such agreements cannot be terminated before a certain time freely stipulated by the parties, to amortise at least part of the investment made on the property by the lessor. Although foreigners are free to acquire real estate in Brazil, there are restrictions for acquiring rural properties and land near Brazil’s national borders or land considered as coastal land whose ownership title is held by the federal government. Brazilian legislation limits the acquisition of land by foreigners to a proportion of the territory of each municipality. Acquisition of rural areas by foreign legal entities depends on authorisation from the Ministry of Agriculture. Franchise is the system whereby the franchisor assigns to the Franchisee the right to use a trademark or patent, associated with the right to exclusive or semi-exclusive distribution of products or services and, occasionally, also the right to use the implementation and business administration technology or operational system developed or owned by the franchisor, upon direct or indirect remuneration, without establishment of employment relationship. The Franchise Law regulates the mandatory content of the offer, based on the Franchise Offer Circular (COF), which sets out the required information a franchisor must provide for a prospective franchisee. According to article 211 of the Industrial Property Law, the franchise agreement involving a foreign franchisor shall be filed with the National Institute of Industrial Property (INPI) to be effective before third parties. Article 3 of the Franchise Law sets out the information that must be contained in the COF, which must be provided, in clear and accessible written language and include the detailed description of the business (see question 17). 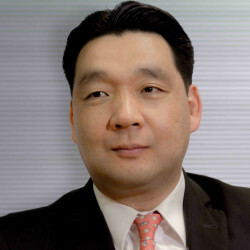 Regarding INPI, filing of the agreement with the entity depends on two elements: the temporary granting of the rights that involve the necessary technology transfer, along with the use of the respective trademarks; and the specification of the fee payable by the franchisee to the franchisor. In addition, the Brazilian Franchise Association (ABF) includes all major franchisors in Brazil and has a very important role as defender and promoter of the technical development of franchise in Brazil. The Franchise Law is only applicable to franchisors and franchisees operating in Brazil; hence the registration of the franchising agreement with the INPI is not mandatory. However, franchise agreements with foreign franchisors must be registered with the INPI to be fully valid. The Franchise Law does not present any such requirement, before issuing the COF. The list of information to be disclosed is described in the COF (see a more complete list in question 17). The Franchise Law does not restrict the recruitment or selection of franchisees, despite the mandatory information to be provided in the COF. However, it is possible to appoint the ‘ideal franchisee’ (see question 17, points (v) and (x)). For suppliers, the Franchise Law has no restrictions, but good faith principles must prevail. The Franchise Law establishes that the COF must be provided by the franchisor to the franchisee at least 10 days before pre-contractual signing. However, the law does not specify how often the COF must be updated. The Franchise Law considers a sub-franchisor to be a franchisor, and a sub-franchisee to be a franchisee. In this sense, the obligation for the presale disclosure in case of sub-franchising structure, remains under the sub-franchisor. If a sub-franchisor is a Brazilian entity, the sub-franchisor shall provide the COF with all the requirements applicable. (xi) clear and detailed information about the franchisee’s obligation to acquire any property, services or products necessary for the implementation, operation or management of the franchise, exclusivity from suppliers designated and approved by the franchisor, providing the franchisee with a complete list of these suppliers. (xv) a draft of the franchise agreement and, if applicable, the standard franchise pre-contract, with the full text, including appendices and duration. Apart from the franchisor’s obligation to provide updated disclosure to potential franchisees, there is no legal obligation for continuous disclosures to the current franchisees. For good faith and best practice, the franchisor must inform franchisees about relevant changes in the franchise operation rules. No government agency has specific powers to enforce the disclosure requirements presented in the COF. In the case of violations of disclosure requirements, the franchisee may require an injunction to suspend the effects of the franchise agreement as a preliminary measure. Subsequently, the franchisee may file a claim or commence mediation or arbitration proceedings for indemnification, if so stipulated in the franchise agreement. Annulment of the contract and repayment of all the amounts already paid to the franchisor, such as affiliation fee and royalties, duly adjusted for inflation by the variation of the basic remuneration of savings deposits plus damages, could be sought as a final resort. Under Brazilian laws, the franchisor and sub-franchisor shall be liable pursuant to their respective contractual obligations. Before franchisees, the sub-franchisor shall be held liable for all issues arising out of the franchise agreement. Unless the joint liability of the franchisor and sub-franchisor is expressly stipulated, the sub-franchisor shall be held liable. The sub-franchisor may have a right of redress against the franchisor. With regard to individual responsibility, as a general rule, officers, directors and employees of a franchisor or sub-franchisor may only be held liable in cases of misconduct, gross negligence or fraud. Despite the general rule, in case of bankruptcy or the end of activities of a franchisor or sub-franchisor, creditors (suppliers, employees and tax authorities) may require the inclusion of referred individuals in their personal capacity in their claims. The pursuit and inclusion of such individuals in claims are more frequently encountered in labour and tax claims. Besides specific rules of the Franchise Law, the offer and sale of franchises in Brazil is also affected by the Civil Code and the general principles of contract law, especially contractual good faith. The ABF rules and code of practice are also influential as ABF counts more than 1,000 members and has a strong influence in franchise-related matters. There are no rules determining the formulation of specific disclosure to such transactions, besides those required in the COF pursuant to the Franchise Law (see question 17, points (ix), (xi) and (xiii)). If a franchisor engages in fraudulent or deceptive practices in connection with the offer and sale of franchises, the franchisee, pursuant to the Franchise Law, is allowed to claim for the annulment of the contract and to require repayment of all the amounts already paid to the franchisor, such as the affiliation fee and royalties, duly adjusted for inflation. In some cases it may also be possible for a franchisee to seek a criminal prosecution for fraud, misrepresentation or larceny. The ongoing relationship between a franchisor and franchisee, after the execution of the franchise agreement, is regulated in all material aspects by the franchise agreement itself and by the Franchise Law and the Civil Code. Yes. In this sense, the influence of the ABF should not be disregarded. The Franchise Law does not stipulate any special or specific provision regarding a franchisor’s ability to terminate any franchise relationship, as the parties are free to stipulate these conditions in the franchise agreement. The general Brazilian civil law applies and a party may therefore terminate with cause, based on the breach of any obligation contained in the agreement by the other party, or without cause, based on the principle that no one is obliged to remain party to a contract indefinitely. Nonetheless, the civil law also stipulates that a party may not terminate an agreement without compensation in cases where one party has undertaken significant costs to comply with contractual obligations. As described in question 28, the Franchise Law does not stipulate any special or specific provision regarding a franchisee’s ability to terminate any franchise relationship. The parties are free to stipulate these conditions in the franchise agreement. Unless automatic renewal is provided for or the contract is set for an indefinite term, a franchisor shall observe the conditions contained therein and abide by those conditions. Where a franchisor decides not to renew the agreement in spite of its contractual obligations, such refusal may cause the franchisor to indemnify the franchisee. Stipulation of restrictions on the transfer of a franchisee entity by a franchisor, such as prior consent or payment of certain charges, is valid and can be included in the franchise agreement. No. The Franchise Law only requires that the COF provides the payment conditions, which may be a flat amount, or based on a floating fee calculated at a percentage of sales or of the price for each unit sold or purchased by the franchisee from its suppliers, on the profits earned. The parties are free to stipulate penalties for default. The usual penalty varies between 2 and 10 per cent of the overdue sum, but in no case is it to exceed the overdue principal amount. Interest of up to 12 per cent a year can be levied in addition to any penalty, according to the Civil Code, article 406, and the National Tax Code, article 161, section 1. No legal restrictions apply to the franchisee’s ability to make payments to a foreign franchisor in the franchisor’s domestic currency, provided registration of the agreement at the INPI is made in order to allow the remittance of the royalties as a deductible expense for the franchisee. The information and know-how to be assigned to franchisee can be considered confidential and trade secrets, critical for the maintenance of the franchising business and protected and enforceable under Brazilian law. The Civil Code, which is applicable to franchise agreements, stipulates that the parties shall perform their obligations in good faith, pursuant to articles 113, 187 and 422. No, the Consumer Protection Code (Federal Law No. 8,078 of 10 September 1990) describes the consumer as the individual or company that is the end-user of products or services and is considered at a disadvantage (financial and technical) to the supplier. This does not apply to franchisees, provided that the object of the franchise is the sale of products or services licensed under the instructions of the franchisor. Further, as the franchisee will profit using the assets and knowledge provided, he or she cannot be considered to be at disadvantage. Yes, both the disclosure documents and franchise agreements shall be clearly and accessible written in Portuguese, with detailed description of the business. However, it is also possible to have those documents in more than one language. No specific legal restrictions are applicable to the provisions in franchise contracts besides general contract law and Civil Code; the parties are free to agree on terms, to the best of their interests. Limitation on soliciting other franchisees’ employees, if it is to be applied, must be duly stipulated in the franchising agreements. Nonetheless, conditions or terms that are considered abusive or that impose excessive burdens may be challenged by the franchisee. Defence of competition is regulated by Federal Law No. 12,529 of 30 November 2011 under the Administrative Council for Economic Defence, an executive body of the Brazilian Competition Defence System. The Brazilian judicial system is extremely complex, abounding in divisions and formalities. To summarise, there is a hierarchy of courts, from courts of first instance, where all cases commence, to courts of third instance. The major obstacle caused by this system is that it is slow. This is mainly because of the large number of appeals they handle and the subsequent compliance with all the instances. A simple point of order can take over 10 years to be judged. In an ongoing conflict situation, we believe that the most reliable method of resolution is the non-adversarial approach. Ideally, the parties involved should seek to settle their differences via mediation and arbitration chambers. This would enable them to settle the matter in the speediest, least bureaucratic and most efficient manner compared with a court of justice. 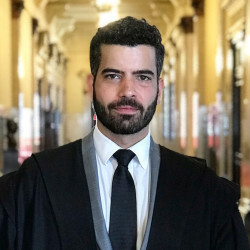 Certain arbitration centres in Brazil have been created to deal with lower-profile cases, with lower costs and would be the ideal forum for disputes among franchisors and franchisees. the legal validity of the decision: an arbitration decision holds the same validity as a decision made by a court of justice. no appeal: arbitration decisions may not be appealed on merit. The Franchise Law does not differentiate between Brazilian and foreign franchisors. The only difference is the need to register a foreign franchising agreement to allow remittance of royalties as a deductible expense. The Bill of Law No. 122/2015 is under discussion in the National Congress. This Bill proposes that the franchisor be given the ability to sublease properties to franchisees for higher price than the lease paid by the franchisor only in cases where the franchisor has made relevant investments for the operation of the franchise. The Brazilian economy is in a recovery mode. As such, we expect there shall be room for more business and a higher increase in the number of franchisors and franchisees compared to 2017. 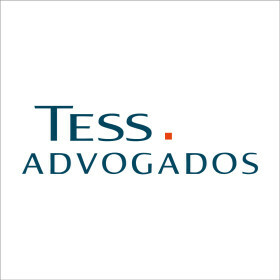 Tess Advogados is recognised for applying innovative legal solutions to the clients’ businesses and projects.